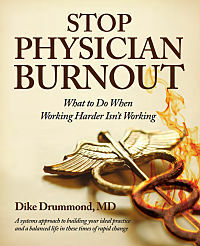 Physician Burnout Book - "Stop Physician Burnout - what to do when working harder isn't working"
Here's the first step-by-step guide to lower your stress levels, prevent physician burnout, build a more ideal practice and a more balanced life. We have taken over 1637 hours of experience from one-on-one coaching with physician clients and packed it all into our first physician burnout book. This is the first comprehensive manual any doctor can use to stop physician burnout ... and along the way build a more ideal practice, no matter what your specialty. Here's the Table of Contents, a sample chapter on why Physician Burnout is not actually a "problem" and links to learn more and get your own personal copy. Here is the table of contents for your review. What is the Pathophysiology of Physician Burnout? What Does the Experience of Physician Burnout Feel Like? What is Physician Burnout’s Highest and Best Use? Burnout is a challenge to be sure. It is not a problem though. Here’s what I mean. When you apply the solution to a problem, what happens? The problem disappears, right? Here is the purest example of a problem I can think of for a practicing physician. An abscess. What is the treatment for an abscess, especially if it is one of those beauties that is just starting to point? You got it … drainage. In the language of the surgeon, “a chance to cut is a chance to cure”. There is no finer example of a one-step solution than the application of a surgical blade to the burrowing head of a ripening abscess. You wash your hands, clean your instruments, smile and thank the gods of medicine that you got a simple problem like this in your work day. What about physician burnout? Is there the equivalent of a scalpel you can use to I&D burnout and make it go away. The answer is an obvious “No”. There is no one step, permanent solution here. In common language we speak of being on the “horns of a dilemma”. Dealing successfully with a dilemma is a constant process of finding balance between the horns. In this instance burnout is actually one of the horns. Here are the two alternatives in this particular dilemma. 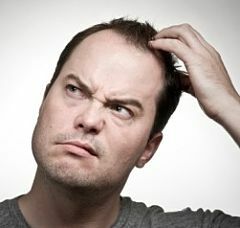 How do you “solve” a dilemma? The short answer here is you don’t. Your ability to distinguish between problems and dilemmas is a key new skill that will allow you to treat and prevent burnout. This Problem vs. Dilemma distinction is one you must learn to see clearly in order to build a fulfilling, balanced life. Any time you find yourself struggling to “solve a problem”, question your assumptions. Ask, “Is this a Problem or a Dilemma” and proceed accordingly. Learn to recognize and manage dilemmas and your life gets easier. Once you recognize you are facing a dilemma and not a problem … as in the case at hand, dealing with burnout … use these four steps to manage it effectively. We are problem solvers by our nature, our training and our conditioning. We are always looking for a solution to our patient’s symptoms. We have a finely honed sense of urgency as well. Because of the length of the typical patient encounter, we do everything we can to tease out the unifying diagnosis and build an effective treatment plan in 15 minutes or less. We tend to see everything as a problem and we derive our sense of worth and confidence from our ability to solve the problems around us. Then there’s physician burnout. We make the mistake of thinking physician burnout is a problem too. We try to solve it over and over again and are unsuccessful. This is where a whole new layer of head trash tumbles into place. Instead of going back to the drawing board and questioning your assumptions, we fall into three main patterns of dysfunctional behavior. Rather than recognize burnout as a dilemma and work on a strategy, a large percentage of physicians will do one of these instead. If you can’t find a solution, it must be impossible. You look all around and see many of your colleagues struggling in a similar fashion. Your programming has you work harder, try to figure this out all by yourself … despite your exhaustion. Eventually many physicians simply give up on the option of having the life they want. Physician burnout is often a chronic condition. Much more commonly, physicians slide into playing the role of the victim. I am not saying you are being victimized here. There is no perpetrator. No one is sitting in a smoke filled room plotting to knock your life out of balance and deliberately torture you with EMR, ICD-10, Meaningful Use, or Patient Satisfaction Surveys. Victim mode is a creeping change in your locus of control. You begin to believe you are not in charge of your life. You feel like you are swinging in the breeze, a helpless victim of the next administration order that comes down the pike. Any time you find yourself doing one of these, you are playing the victim. 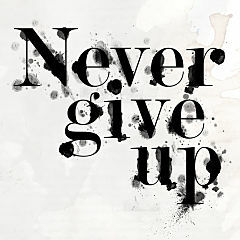 In most cases you missed a chance along the way to take more charge of your circumstances. Now you feel stuck. You don’t see a solution, so these feel like reasonable things to do. You are giving your power away. This behavior is very common among physicians, as you well know. Blaming, justifying and complaining never work. These three behaviors will never get you what you want. You will only alienate the very same people that could help you out of the downward spiral. 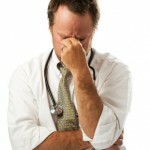 Did you know there is a popular conception in healthcare management circles that doctors are just a bunch of whiners? Listen to their stories and you will see that many administrators are bombarded with physicians who do nothing but walk into their office to blame, justify, and complain about everything. They demand something be done about the issue at hand and storm out. And I am not even talking about the so called “disruptive doctors” here. 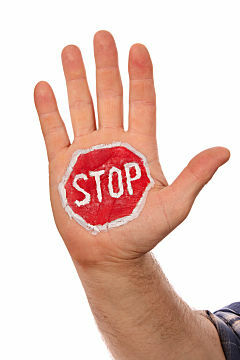 The constant repetition of victim behaviors is what causes administrators to give up on burnout prevention and deal with physician turnover instead. Playing the victim is one of the few things that is more common in doctors than the symptoms of burnout themselves. This head trash has got to go if you are going to get more of what you want going forward. Doing so will make a big difference for a simple reason. When you blame, justify and complain, you are giving away your power to change things. Instead of figuring out what you want and making it happen, you are venting your discomfort and putting up with this miserable status quo. Playing the victim means you missed an opportunity to take charge. When you catch yourself in victim mode, you will realize that at some earlier point you had an opportunity to take control of the situation and you missed it. You might have noticed the opportunity come up, but you did not take it. Or you might have missed it completely. Either way, recognizing you are playing the victim gives you a second chance to take charge. What do you really want to have happen here—instead of the thing you are complaining about? What would you have to do to get that different result? What is the smallest first step you can take to beginning turning this around? When are you going to do THAT instead of blame, justify, and complain? I encourage you to recognize the victim when it pops up. Use it as a sign to get crystal clear on what you want in this situation. Then take charge of the situation as much as possible. There is no one thing. There is no magic pill, no matter how much you may wish for it. 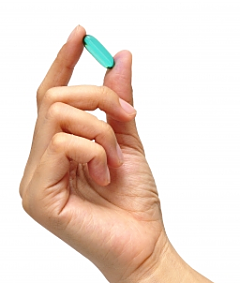 The magic pill is a universal form of magic thinking. The key is to recognize the dilemma and focus on taking action in the form of a strategy to pull up. Treating or preventing burnout or building your ideal practice is always a combination of a number of little changes. Clean out your head trash and put together several new actions that get the results you are seeking. As long as you remain focused on what you want and dedicated to taking action to implement the tools in your life, you will find that every new action produces a new result. The results of your new actions often add up in an exponential fashion. When begin to live more on purpose taking actions to create your ideal practice, as little as two small changes can make a huge impact. Get ready to put a number of things in play, one at a time. Then you can sit back and watch the math of your new results take place. Now that you understand burnout is a dilemma you can recognize this book and the additional resources at the book resources page on the web as the building blocks for your strategy. You build your own person strategy by picking and choosing the ones that work for you and try them in your own practice and life. You will quickly learn which combination works best to reach your goals. I will point out additional dilemmas as we bump into them going forward. You will recognize them as stubborn places you are be struggling at the moment. Just to get you started, realize that EMR and Work-Life Balance are both dilemmas too. Go figure. I will be reminding you to stop trying to solve dilemmas – work on a balance strategy instead - and giving you examples of successful strategies as we go along. Taking out this head trash by calling out dilemmas when you see them, is perhaps the most important trip to the Dumpster of them all. Ready to kick physician burnout and start building your Ideal Practice?